Description: Our handcrafted table melds the ornate detail of bone inlay with the minimalist aesthetic of modern furniture.The base is beautifully handcrafted with circular mother of pearl which are then put together to give this a circluar base. 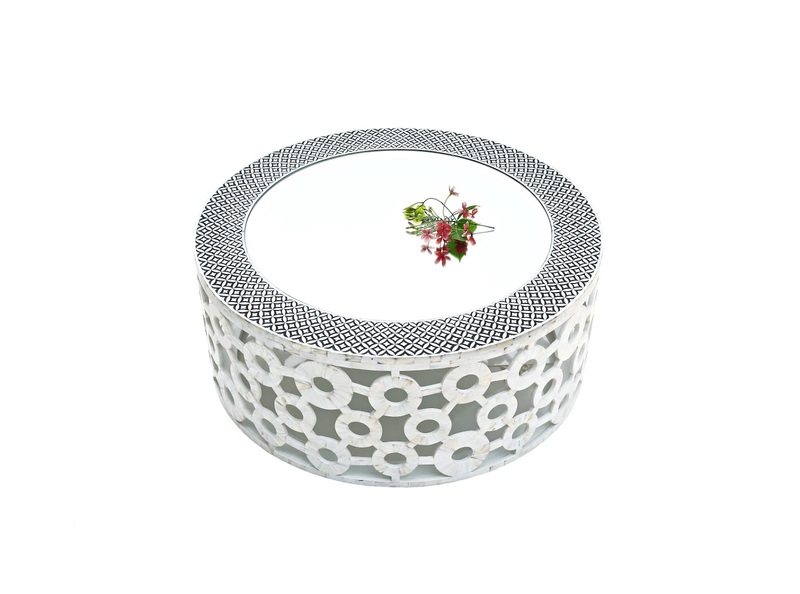 The mirror top is set inside a round border of handmade black and white bone inlay intricate pattern. Each piece is finished by hand by artisans and is unique.